Posy and I recently started filming the pilot for our new show for VBS.tv. I’m presenting it which is kinda wierd. Luckily the first stuff we filmed was with my good friend and unofficial BMX coach, Taliban Tom so it was easier than it could of been. It was a little strained at first and Tom reckoned I was putting on some kinda ‘stage voice’ which I wasn’t doing intentionally. I think I was a little tense as it was too bloody early in the morning. In the show I get pretty involved in what we’re doing so hopefully when we’re done building these trails I can start jumping them. That’s the plan anyway although I wouldn’t mind trying a few tables before riding these trails with gaps in the middle. Off the Liverpool next week to start on Episode two (or one, depending on which order we air the show). @*&^%$@^(), right? 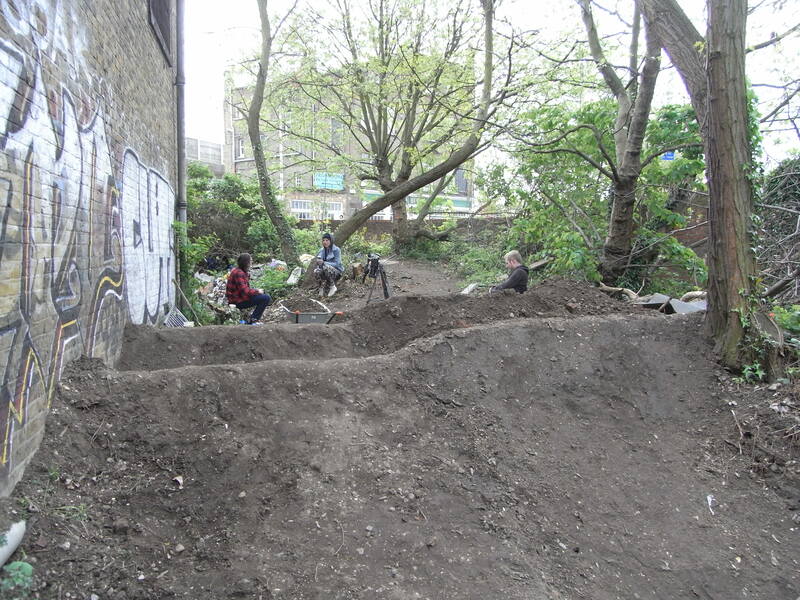 I dug and rode here when I lived there a few years back…ok for me to ride your hard work? i’ll bring a shovel! You’d be better off asking the guys; they’re not my trails!